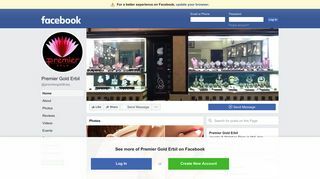 Premiere Gold Erbil is the emporium for first-class jewellery which makes every customer return to them. They have a sparkling range of unique jewellery sets that you just can’t overlook. They have their location in Iraq and you can check out their online gallery by visiting their Facebook page. Their collection includes designs that are created by the expert designers.